In the past the Land Bank received significant funding to purchase foreclosed homes, renovate them and put them back on the market for Ingham County residents. With less funding available, the Land Bank is highlighting its rental properties – along with residential and commercial properties – to ensure affordable, sustainable housing for all. The Land Bank views renting a home as a convenient and affordable option for those saving up for homeownership. What is the Ingham County Land Bank? The Ingham County Land Bank is a strategic economic tool that supports growth and investment within the community. Dedicated to improving the quality of neighborhoods and strengthening Greater Lansing, the Ingham County Land Bank was created to return tax reverted, purchased, donated and unclaimed land to productive use. Why is the Land Bank renting properties? 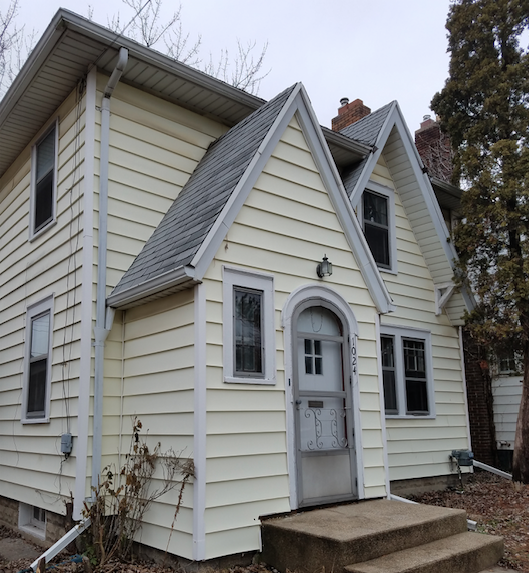 In the past the Land Bank received significant funding to purchase foreclosed homes, renovate them and put them back on the market for low income residents in Ingham County. With less funding available, the Land Bank is highlighting its rental properties – along with residential and commercial properties – to ensure affordable, sustainable housing for all. The Land Bank views renting a home as a convenient and affordable option for those saving up for homeownership. Why should you rent through the Land Bank? Renting an apartment or home is a great first step on the journey to becoming a homeowner. The Land Bank has a variety of rental properties available and also sells home to many first-time homebuyers. The Land Bank also works closely with the Center for Financial Health and Capital Area Community Services, organizations that can help you get on the right track for homeownership. How does renting through the Ingham County Land Bank work? Online listings of the Land Bank’s rental properties are available on the website at inghamlandbank.org. While the Land Bank owns the properties, the Ingham County Housing Commission processes all applications and maintains the rentals, serving as the residents’ main point of contact. Renters can sign a 12-month or month-by-month lease. A $500 security deposit is required upon signing, and there are no income limits. All rental properties are priced at or below fair market value for the area. For more information on the application process, credit checks and more, contact LeAnne Mattox at ICHC, 517-349-1643. What rental properties are available? The Land Bank’s rental properties range from one to three bedroom homes, costing between $600-900 per month. View a complete list of the Land Bank’s rental properties on our website at inghamlandbank.org. The listings include address, size and cost per month. How is the monthly rent determined? The Land Bank’s rental properties are all priced at or below fair market value for the area. Do you have to have good credit? Credit is evaluated on a case-by-case basis. For more information on the application process, credit checks and more, contact LeAnne Mattox at ICHC, 517-349-1643. What is the pet policy for Land Bank rental homes? There is no set limit for the number of pets to a home, but each pet must be listed on the pet agreement included with the lease. Residents must have proof of licensing for each pet. The pet agreement states that an additional $200 is required for the security deposit and $45 is added to the monthly rent. Are there any Land Bank rental homes available outside of Lansing? No, the Land Bank currently does not own any rental housing outside of Lansing. To view a list of Michigan county land banks, visit Michigan.gov.